YAS! These Beauty and the Beast makeup brushes are so DREAMY | SHEmazing! The wonderful folks at Storybook Cosmetics (the Harry Potter makeup people) have started working on makeup brushes that resemble the rose from Beauty and the Beast. Yes, we are deadly serious. Not only are these brushes giving us serious Disney vibes, but they also remind us of Romeo and Juliet. "What's in a name? That which we call a rose by any other name would smell as sweet," asked Juliet, famously. The company posed an image on Instagram last week of the brushes, which are currently in production. "We will keep you updated every step of the way! Expected early Spring!" 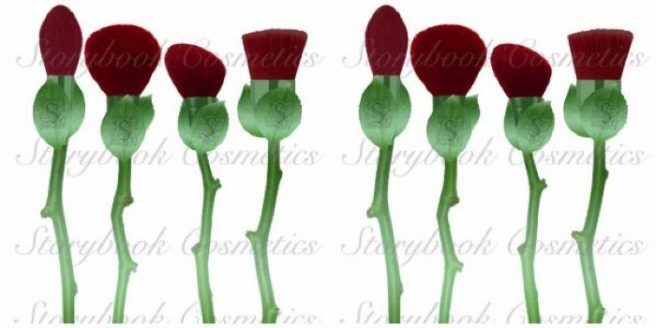 The Storybook Cosmetics "What's in a Name" Rose brush bouquet is in production! We will keep you updated every step of the way! Expected early Spring! We'll be waiting with bated breath.